Have you sustained water damage Moreno Valley CA home or business? Contact PL Builders for best water damage company Moreno Valley CA and other locations we serve. No matter the cause or time of day, PL builders is the best water damage company Moreno Valley, you can rely on for all of your water extraction, water damage cleanup, water damage repair and water damage restoration needs. We can tackle water damage from any source, and no job is too big or tough for the trained and certified technicians at PL Builders. 24 hours a day, 7 days a week, PL Builders is the best water damage company Moreno Valley CA to contact for your water extraction, water damage cleanup, water damage repair and water damage restoration services. From the moment you contact PL Builders, we are getting to work on your water damage Moreno Valley CA. When you contact our best water damage company Moreno Valley based, when you contact PL Builders, an actual service technician experienced in water damage repair, cleanup, and restoration will take your call. This allows us to gather specific information about your water damage so we deploy quickly with the proper tools. Once on the scene, we perform expert water extraction, water damage repair, and water damage cleanup services. Next, an inspection and inventory of your property is made, making certain that the area is safe, and noting any damage to your home, business, or personal property. A quote is provided for our water damage repair and restoration services, and a member of our team works with your insurance company to properly file your claim. PL Builders will then make all needed repairs to your property and ensure complete water damage repair Moreno Valley CA. Contact us online or by telephone at (951) 228-0733 for a consultation on water extraction, water damage restoration, water damage cleanup, and water damage repair Moreno Valley CA. 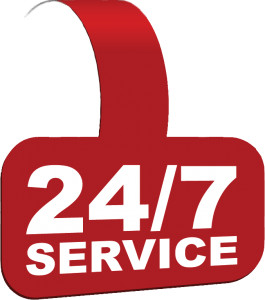 Our best water damage company Moreno Valley based is available 24/7 for all of your property damage restoration services, so call or contact us now!